In this training program, we will discuss about ASME Boiler and Pressure Parts, especially in section, I, II, V, and IX. 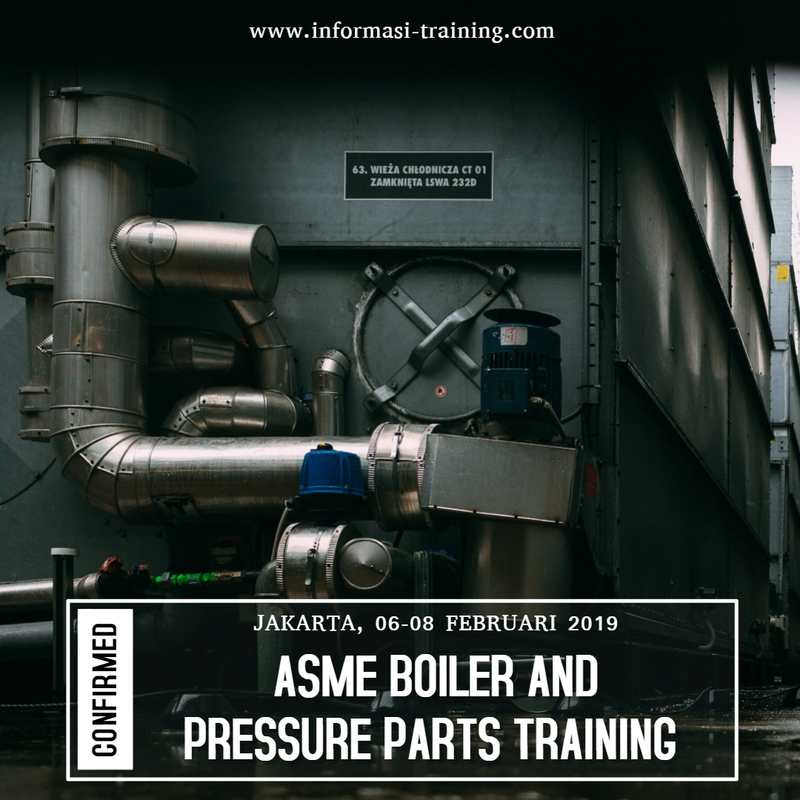 This ASME Boiler and Pressure Parts training is recommended to be followed by Engineer, Technical Professionals, Mechanical, Construction, Technicians, Maintenance Personnel who involved in installation, testing, operation and maintenance of steam generator, Experienced professionals who want to refresh or broaden their knowledge of ASME Boiler and Pressure Parts. Sigit Budi Hartono, S.T., M.T.